I stumbled upon a new plane rental opportunity a few weeks ago and was finally able to go and fly the plane. The gentlemen who is renting the plane originally had it listed on OpenAirplane (how I found it in the first place) and I had been trying to get my OpenAirplane checkout done so that I could fly it. 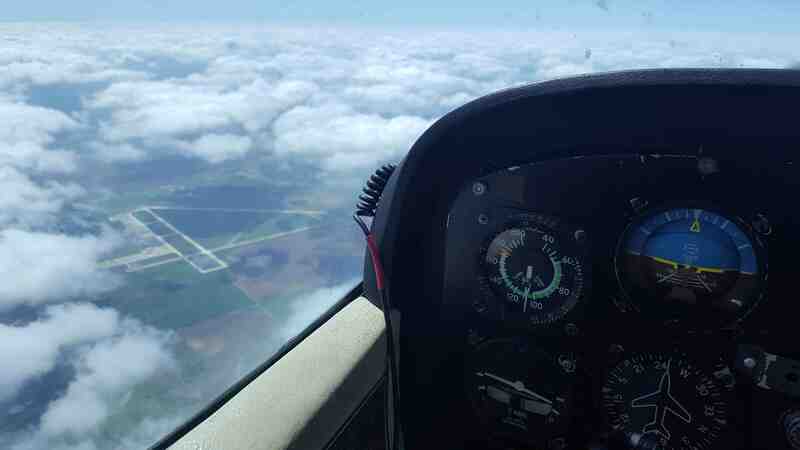 This would have allowed me to fly any airplane in the OpenAirplane Network without needing an additional checkride. Unfortunately, there were no planes on the network in places I would have liked to have flown (back home, where my brother lives, etc.). But that opportunity started to not seem to be worth my time and money, the plane was taken off of OpenAirplane and he decided that he wanted to just rent the plane to pilots directly. The was great news for me because the OpenAirplane checkout is tantamount to a Biannual Flight Review which is both expensive and difficult. But lucky for me it was listed for the short period, otherwise I may have never found this opportunity. The best part...the airport that this plane is based at is only 5 minutes from the house. 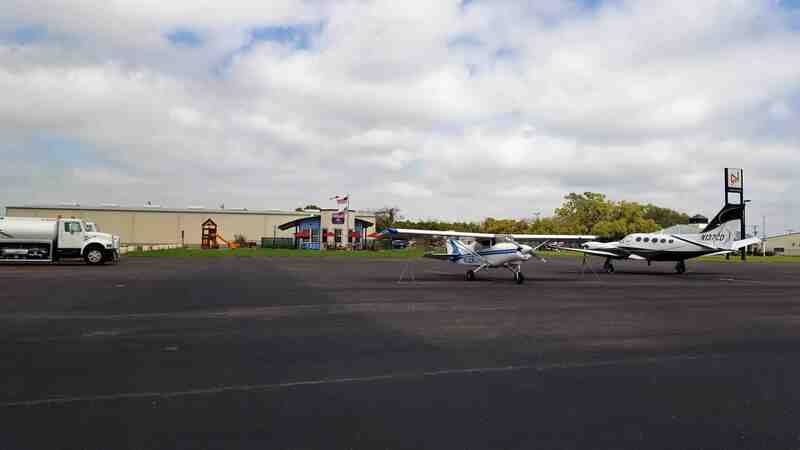 This first flight from that airport and in this plane took me to Uvalde, Texas (KUVA) for lunch at the Hangar 6 Cafe. This was such a cool place with a ton of military history as a WWII training base. There were puffy clouds along the way which made the view even more amazing. Lunch was great and the plane flew like a dream (the climb rate was insane). I also got to try out ADS-B Out for the first time as well as ADS-B integrated into the plane (my poor Stratux that I built didn't get to play on this trip). 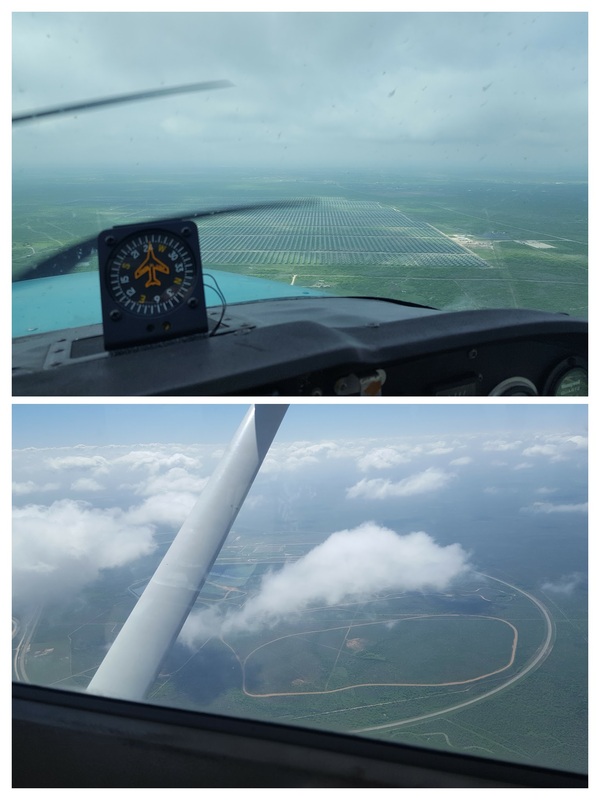 There were also some pretty sweet views of a huge solar array and the Continental Tire Uvalde Proving Grounds! As the plane is not rented by an FBO or flight school, this was a new experience in having to open up the hangar, get the plane out, and after the flight, put it back in. I was a little nervous because the airplane fits in the hangar like a glove but it all worked out and I really enjoyed the freedom to just do everything at my own pace. Anyways, it was a great flight and this was the first time I was able to hook up the airplane audio to my GoPro. So here is a short video...short because the battery died.